Custom built wooden boats - whether power boats or sail boats - are strong, beautiful and quiet through the water. 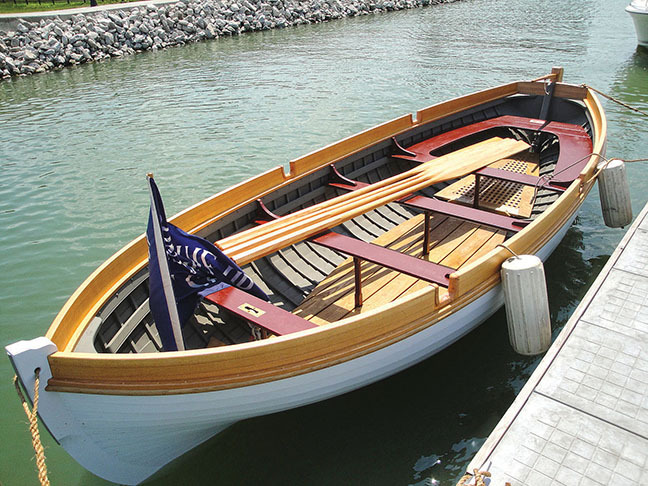 Using modern materials and boatbuilding techniques, they can be as easy to care for as fiberglass boats are perceived to be. And they can compete cost-wise with the higher end production and semi-custom boats of similar features and quality. My intent is to build boats of the highest quality for those who appreciate excellence in craftsmanship. 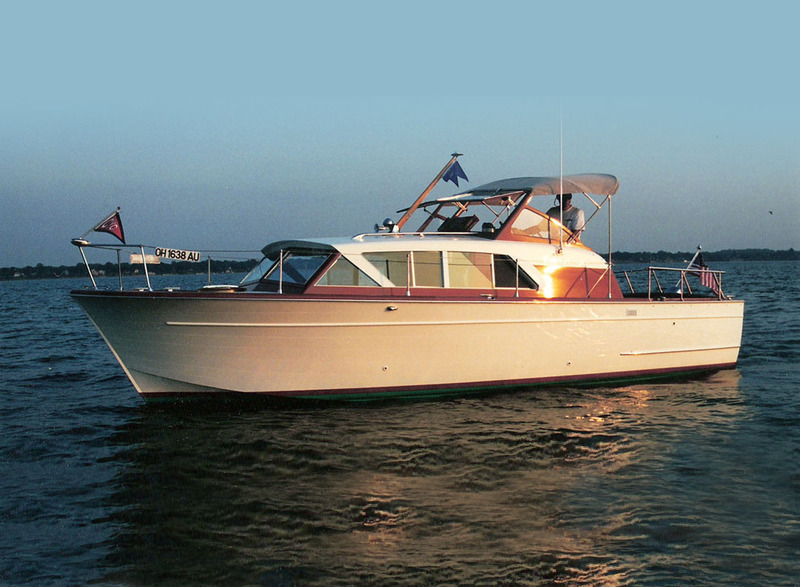 By using wood-epoxy composite techniques that include strip planking, cold-molding and fiberglass sheathing and reinforcement, the result is a long-lived, easily maintained boat or yacht. For the rare connoisseur who favors traditional construction, whether carvel, lapstrake or batten seam construction, we can build that way too. No matter the construction technique, I pledge to give careful attention to material choices, craftsmanship in combining those materials in the structure, and a dedication to tending to the myriad details that make a successful project. 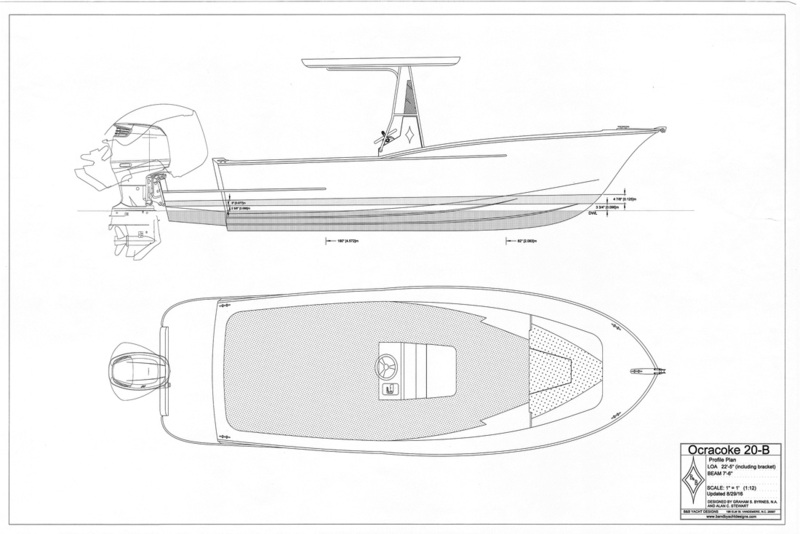 I invite you to call or email me to discuss a custom boat project ​of your own. This is an updated version of the original design by Graham Byrnes at B&B Yacht Design. This new version features a little deeper deadrise (16 vs. 13 degrees) and an integral outboard bracket (vs. transom mounted power in the original). Her performance depends on keeping her light as she'll do over 42 mph with just 90 hp and 5 adults aboard if she comes in at her designed displacement. Check back for updates on this build starting late in November 2016. "Sadie" came to us as a recently purchased but tired 1959 Chris-Craft Constellation. The Owner's original intent was to simply install a new bottom and refinish everything else but that plan gradually evolved into rebuilding the entire boat as a cold-molded reproduction of the original. In the end, everything is new except parts of her cabin sides, the original fir stringers and some of the original interior joinery. We used her original transom wood to create the dinette table and countertops that replaces the factory plywood and formica version of those items. She is 16 years old now and has had nothing done but exterior varnish maintenance in that time. She truly has been as easy to care for as a fiberglass boat but with the class that comes with her heritage! Click the link to see some of her construction photos at Building Sadie (coming soon). We were commissioned to build this reproduction for The Perry Group – a non-profit group tasked with creating the bicentennial celebration of the "Battle of Lake Erie". The boat is mostly traditional in construction, the only concessions being that the laps are glued with epoxy, the washboards and oars are laminated and we used stainless and bronze fastenings to prevent rust corrosion. No records exist to tell us exactly what the vessel was or how it really would have looked. However, naval architect Melbourne Smith's historical knowledge of ships and boats of that era allowed him to design this "best guess" of what the boat might have been. See the construction sequence at Commodore Perry's Longboat. Like "Sadie" above, "Toboggan" was in pretty rough shape when her Owner acquired her. And like "Sadie", he chose to rebuild her as an all new cold-molded reproduction rather than repairing her using traditional methods. The end result is that "Toboggan" is a completely new cold-molded boat, retaining only her stringers and a few original bottom frames. See her construction pics at Toboggan - A Cold-molded Reproduction Chris-Craft (coming soon).